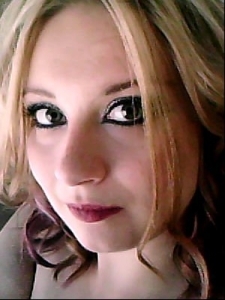 I’m so super excited tonight for my musical friend, Sarah LaCroix. She’s putting on a concert in her town with another local band and it’s amazing to watch how it’s all unfolding on the various social networks she frequents. I can’t believe how excited I’ve been all day. It’s strange that we just met by chance through some YouTube musician friends we had in common, and yet now we’re firm friends online and increasingly in real life. We really bonded in February over our VEDF projects and I found we had a lot more in common than I first thought (not least we share an obsession with Doctor Who). We both want to be professional, full-time musicians that write and perform our own material. She has her field in North America, and I’m doing my thing in the UK, but we’ve been able to give each other support and to ‘share best practice’ from a performance, technique and music tech standpoint. 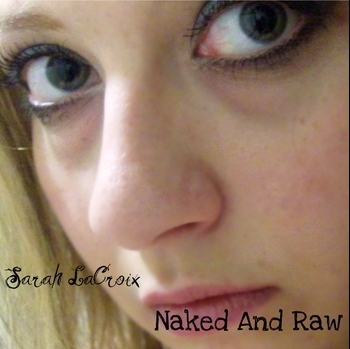 I’m excited to say that I’ll be receiving two copies of her mini album/EP Naked and Raw. One to keep for myself and my husbuddy, and the other to give to a friend or person that I think should have it. I’m yet to decide who that is going to be, but I’m also yet to receive my package, so no rush. At the end of this post are some really must-watch videos that will describe Sarah’s personal and artistic journey over the past three years. When you watch them, you will surely understand why I’ve fallen in love with her work. She has battled against the kind of adversity that I can’t even begin to relate to, and yet she is out there tonight doing just exactly what she loves. Sarah, for me, is a bit annoying in the sense that I know I can do work as good as hers, and yet very few people are hearing my music, and certainly no one is hearing my new, more intricately produced songs. This is down to me completely, but seeing her do her thing ignites that ambition in me that I need to start being a musician and not just fiddling around and saying I kind of am. Because of her boldness, I’ve been given yet another reason to let go my psychological road blocks and pursue my own goals in earnest. So, here’s to you, Sarah. Best of luck with tonight. I just know you’re going to rock the house!